Our Football Bounce House is a great additiona to our tailgate selection of activities. Planning a tailgate party or football themed event? 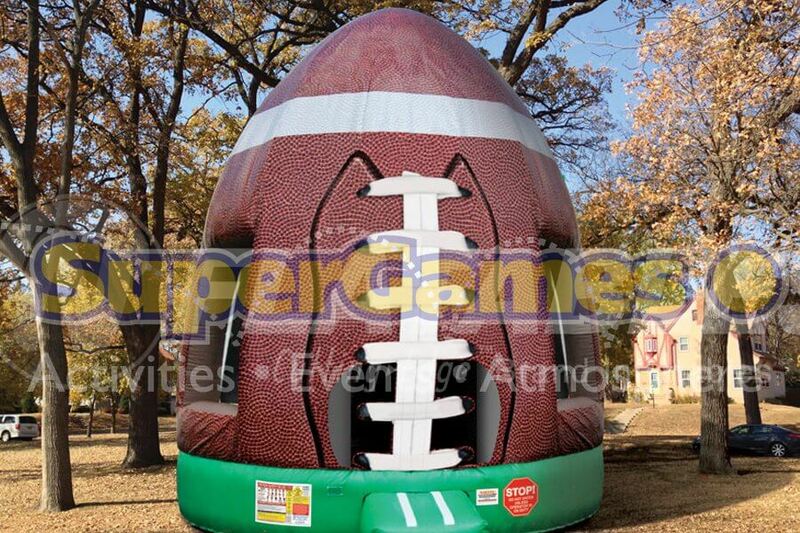 The Football Bounce House is a great way to entertain the kids and have a nice themed center piece for your event. You can also book either our Mechanical Football, Endzone Obstacle Course SG or Endzone Obstacle Course OB, QB Blitz, Buckeye Bash, Field Goal Kick, or 3 Point Kick. Let the Football Bounce House take your event to the next level.